Those are what I call sliders. The Metro Detroit area seems to have been blessed with a number of great slider joints. Although Hunter House in Birmingham seems to get the most public acclaim, Greene’s Hamburgers in Farmington is no less worthy, if only for the fact that they are open 24 hours a day. Greene’s resides in a little unassuming porcelain tile-covered building with the words Greene’s Hamburgers written in a basic black font, with the emphasis on Hamburgers. Inside, the place smells like burger heaven, with no large number of stools placed around the counter and against the windows. 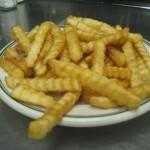 The menu barely contains more than hamburgers and fries, but there’s really no need to look beyond those items, because they are the real reason people come to Greene’s. After a long night of drinking Labatt Blue with a buddy of mine, I ordered two double cheeseburgers and some fries. The nice lady behind the counter told me that onions and pickles were optional and I politely told her I had no need for such things. My meal was promptly served within five minutes and just as beautiful as I remembered. These were sliders the way they are meant to be. Nothing in my burger looked like it had come from some pre-packaged patty. Instead, it looked as if the cook had grabbed a handful of beef, flattened it with a spatula on the grill, turned up the heat and finally tossed some cheese on. 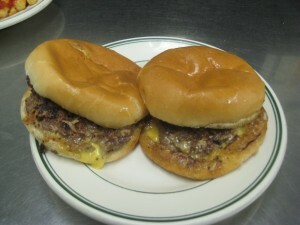 These were prime examples of the word “slider,” which some people believe to mean mini-hamburger. This is wholly untrue. A real slider is a greasy burger that, well, slides right through you. 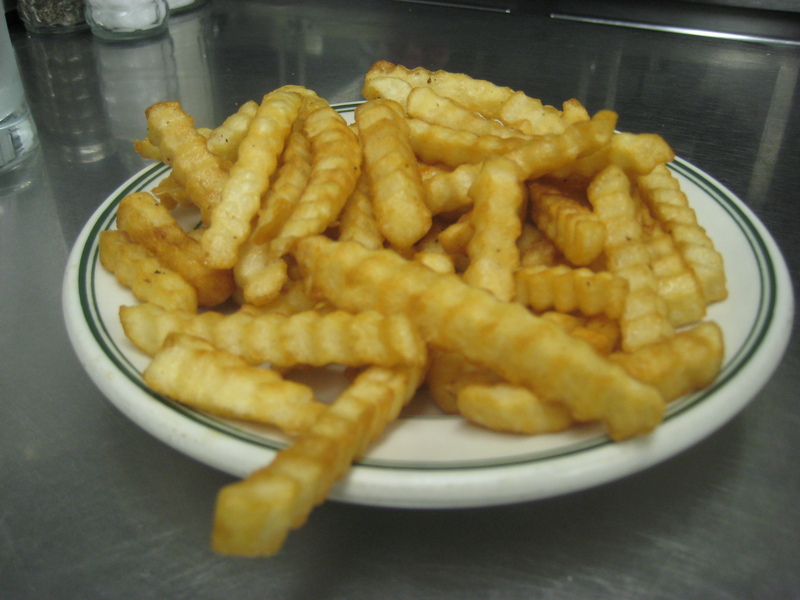 Accompanied by the perfectly crunchy krinkle fries, this late-night snack made my unvegan stomach happy. It also left my unvegan wallet happy, as the prices are unbeatable. Beware vegetarians and vegans, there is no alternative for you here. It’s not a slider without the onions sauteed ON the meat, thus permeating the entire product with sweet perfection. Down with zealot vegans in this instance. Your “gotcha journalism” tactics make me sad. May the saccharine aroma of caramelized onions dance in the midst your olfactory glands and dwell betwixt your philistine taste buds for nine eternities. I must disagree with your assessment of the slider and your unfortunate typo in which I believe you intended to write “Down with zealot UNvegans in this instance.” As with all instances in which vegetables may be involved, the slider is no different, for the vegetables only distract from the meaty goodness that Greene’s provides.